We have just heard that we have been granted charitable status. This is very good news for the Fund not least in being able to claim Gift Aid on your donations. The severe weather of the New Year which disrupted much of the country caused us to miss two sessions of our weekly working visits at Bridgnorth. 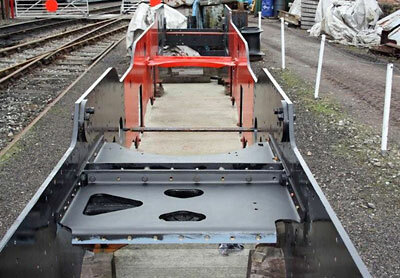 On our return we refitted the two cast steel corner brackets and front buffer beam. The rear end has now been dismantled to allow completion of drilling of the two corner brackets. These will be re-assembled back on to the frames shortly. A horizontal stretcher has been fitted behind the brake cylinder support stretcher and one of the two vertical stretchers has been machined to size and now awaits fitting. The shaped steelwork for the two support stretchers for the pony truck centre castings arrived just before Christmas and fabrication of these into the finished structures will commence soon. Once the various stretchers that are either currently being worked on or are shortly to receive attention are fitted into the frames that will leave the smokebox saddle and several castings in the shape of firebox support bracket, horn blocks and horn guides to be attended to. We will then be moving towards items of large expense such as wheels, tyres, crank pins, axles, cylinders, boiler. The monthly magazines of late have been quoting figures relating to the cost of new steam loco driving wheels which gives an idea of a target area for our fund raising plus some more for tyres, axles, etc. It is expected that cylinders may be in the same area of expense also. 'Back Track' has a pictorial feature on the 82xxx class in its February issue. It describes them as "quite good-looking locomotives and perfectly competent" - couldn't have put it better! 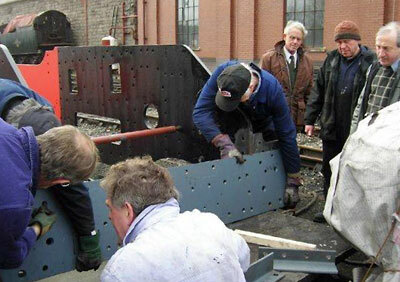 The first working party of the new year - here refitting the front buffer beam. The black horizontal stretcher fitted behind the brake cylinder support stretcher. 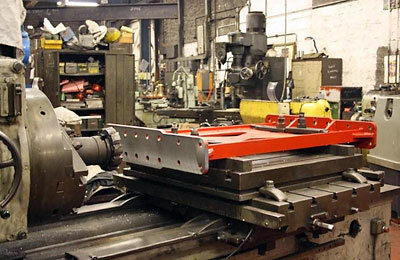 A vertical stretcher on the horizontal boring machine upon completion of machining. 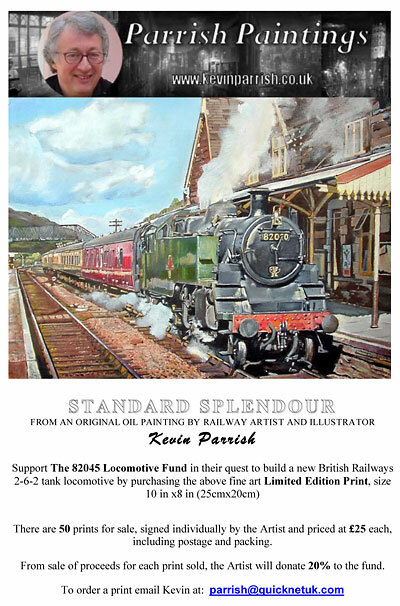 Artist Kevin Parrish has limited edition prints of his 'Standard Splendour' in support of 82045. These can be ordered directly from Kevin Parrish. Click image to view larger PDF version.